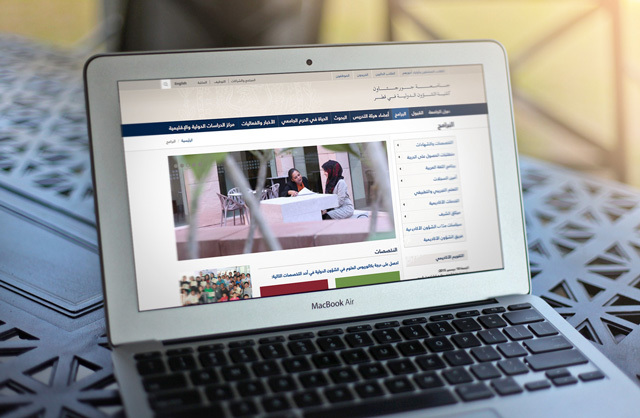 Georgetown University School of Foreign Service in Qatar (GU-Q) hosts a dual language, Arabic, and English website with 1800+ indexed pages and 800+ publications on the website. Their previous Keybridge Systems Cold Fusion based website suffered from declining performance, lagging speed and an obsolete architecture, on an outdated back-end that was difficult to manage and update. This provided for an ineffective and poor quality user experience and it created difficulties for site editors and administrators. Additional factors included a large number of high-quality community contributed modules and integrations with third-party software systems. 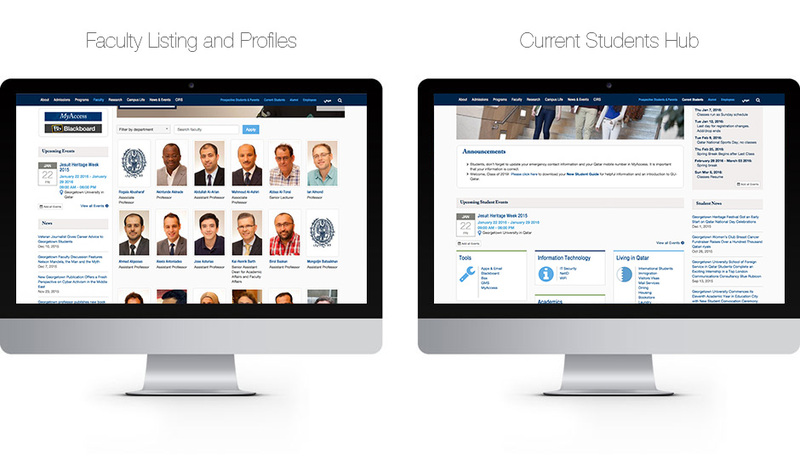 Vardot built a university portal that was user-friendly and accessible for all web audiences, including current students, faculty, prospective students, alumni, parents, employees, and researchers. After conducting an extensive audit of the old website, Vardot traveled to the Qatar campus to meet and interview various members of the GU-Q community including teaching faculty, administrative staff, students and other website users. While in Qatar, workshops were conducted during the week to better understand the needs of each audience segment. Afterwards, an information architecture strategy was developed for the design of the new website, which enabled Vardot to provide a better experience for the different user segments of the website. Students and parents were provided a far quicker way to find relevant information on the website through dedicated pages for their needs, and an extensive mega-menu that was created to help users navigate through a broad range of content quickly. A flexible drag-and-drop layout manager was also built into this project, making the process of updating and adding content a simple task that can be completed by people with a minimal technical background in minutes. In addition to that, more than 20 pre-loaded page layouts are also available and can be applied to pages and for all content types. The site is also optimized for all screen sizes, all modern browsers, and all mobile operating systems. Site-wide search functions make all content easily discoverable. In the publication section, you can look up any paper by name, type, conference, year, or tag. Similarly, expert profiles on the website can be searched by language, expertise, country, and name. News can be filtered by category or easily embedded on the homepage with a single click. Performance for the site was tremendously improved on Drupal 7. The varnish was integrated for better caching, and the university homepage with a lot of images and content loads extremely fast. SEO optimizations helped with the discoverability of the site and the user experience for viewers: both the time-on-site and page view count has increased significantly with the new site. All of this helped rank the new GU-Q website higher, helping the campus in Qatar attract new students and employee talents while better serving their existing community of students, faculty and the general public.